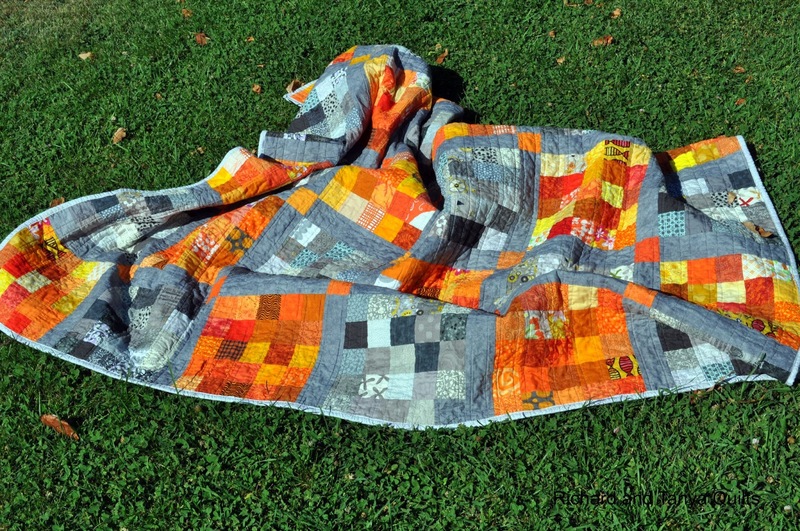 Richard and Tanya Quilts: Richards Quilt and a Silly Teenager try 2! Having teenagers are fun. They listen so well and always do what you want right? Last week Tanya handed Rebecca our 15 year old the camera and asked her to take some pictures of my new quilt. She went out side and took mostly pictures of the back. We laughed so hard about it, that we had to post what she took. Since last time we got no pictures of the front we figured we could hand the camera to our older son James who is 18 and see what he would do. The first 3 pictures listed was the first try. Our instructions were to lay the quilt out flat on the ground and take a picture of it (so we would have the whole quilt front in a picture). 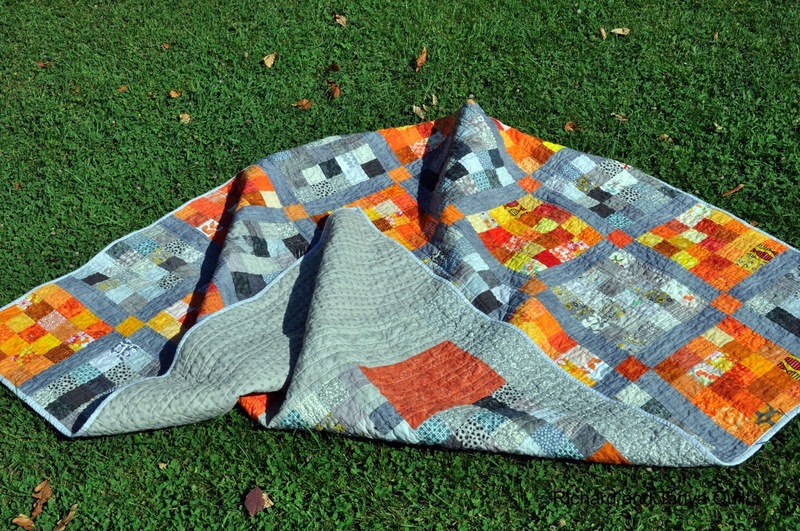 We asked for 1 single picture and ended up with these 3 pictures of my rumpled up quilt. After getting the camera back and looking and laughing (not one picture with it flat, which was all I asked) we again sent him out for another try. As you can see below , we finally got a picture of the whole quilt. Oh wait, he chopped off 2 corners, but hey its close enough. 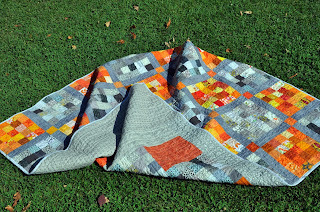 The blocks are 10 inches each (orange block, gray block) the finished width is 58 x 70 which will make a fantastic lap quilt for me. Too bad its the middle of the summer and all I want is the AC on. Oh an of course since I sent him outside a 2nd time for 1 (yes I told him 1 picture) he had to take 2 so we ended up with 5 shots. Can you see he was just dying to take a picture of the back too, just like his sister. I think your kids are onto something...the back is my favorite too! Didn't you notice that the first pictures were more of an artist's work. 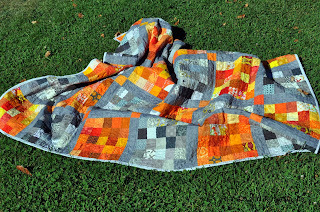 I have one quilt on Flickr that is not flat out on the picture. And I'll tell you, it has passed 4000 hits. All the others have around 1000, and I think I know the reason. Clever children you have! And as Gene said, I think my favorite is the back side. 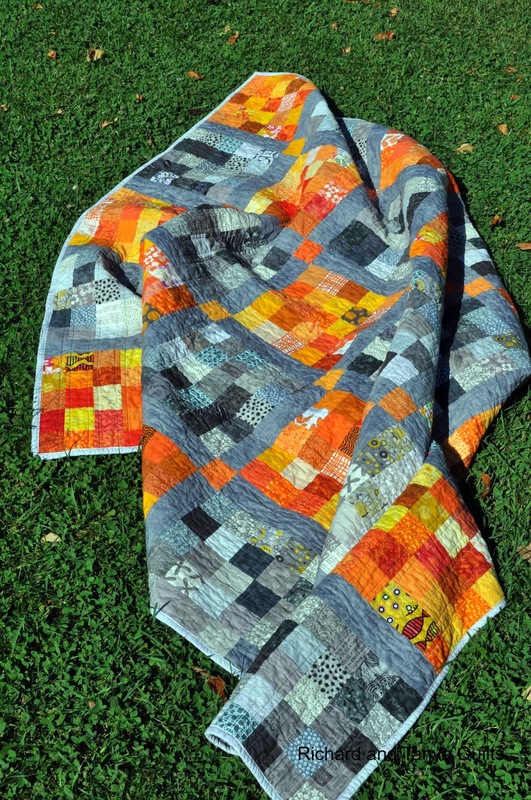 my son, the photographer, resists when I ask him to take photos of my quilts. He suspects a bit of teenage rebellion. Love the quilt, both sides. I had a feeling there would be a round two of this quilt. And I like the 'rumpled' photos - #3 is really a great artistic shot. And I like the back a lot!! the back is modern and the front is traditional; a bilingual quilt. Great post, seeing the process of getting a photograph. I like both sides. I like the orange and gray color palette. I see a lot of yellow and gray lately, but orange is different! Well the back does look cool! 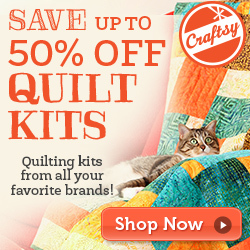 :) Funny pictures and an awesome quilt! Fabulous colour combination - orange and grey rocks. Points for style with the photos! It's a great quilt. Love the bright orange next to the gray. Ya gotta take a lot of photos to get a few good ones. And hey, it's not like he used up all the film in the camera and then you had to go pay for developing. Or was it? Anyway, great quilt. I love orange! 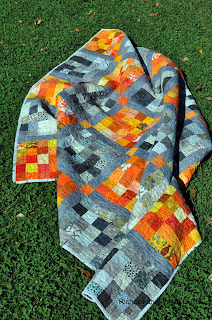 The scrappy fabrics are awesome and I really like the quilting on this one. Nicely done. 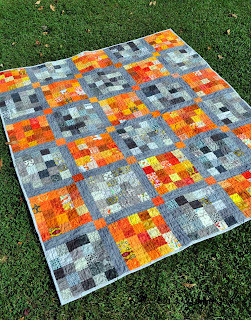 Congrats on a great quilt and thanks for linking up!